Home > Blog>Latest news>Pride team killing it in Antofagasta on their new SDC rides! The young South African took the win against his fellow team mate Antonio Cardoso from Portugal in a spectacular final, who himself previously got his ticket to the big Final against Lewy Finnegan from Western Australia! Lewy will go to Arica with a 3rd place finish under his belt, ex-aequo with the Chilean Kevin Torres, who also looks on fire. 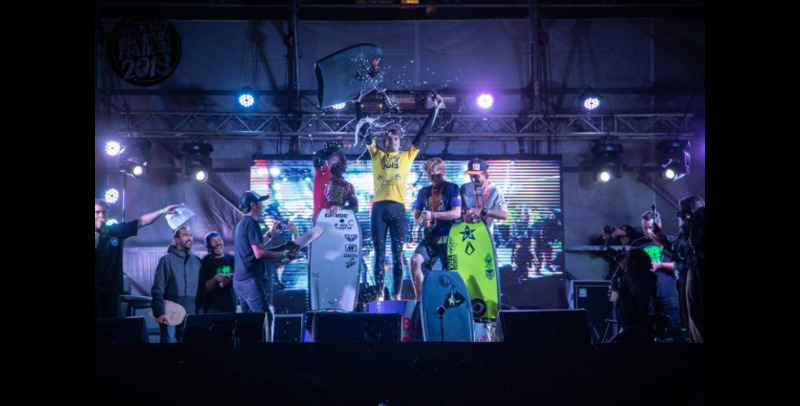 Each one did it in his own style, but they once again demonstrated that they were more than ever amongst the very best bodyboarders in the World. Tristan, as a model of motivation, work and determination, Antonio thanks to possibly the most beautiful lines on the world tour, and Lewy, more enthusiastic and explosive than ever. Did their new Single-to-Double concave models play a big role in their incredible performance? We’re tempted to say yes, but we’ll let you make your own opinion! Now, wishing them luck and looking forward to seeing them shredding along with Pierre-Louis Costes at the upcoming Arica Cultura Bodyboard, starting Monday 4th in the north of Chile on one of the best bodyboarding wave in the world: Flopos, in Arica. Bodyboard Center’s tutorials are now available in English!